While investment in ‘beyond the pill’ services and devices are not a new concept, with the speed of technological advancement and tech start-ups entering the scene, the race is underway. Pharma companies are already embracing this shift in both their business culture and strategy by making significant investments. 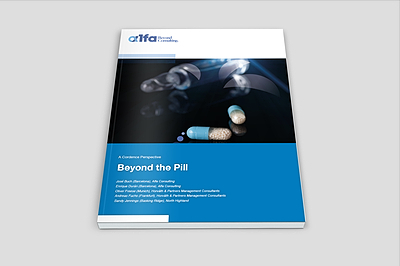 Knowing about the importance of this shift, Alfa Consulting, along with other CWW members, has just published a new perspective on pharmaceutical companies going “Beyond the Pill” to provide patients with the opportunity for better health outcomes. You will be able to download our perspective “Beyond the Pill” in the link below.